Disney has seen outrageous success recently with live-action adaptations of their classic animated films. Jon Favreau’s The Jungle Book was a smash hit in 2016, ending the year in the top five highest grossing films domestically. Beauty and the Beast was an even bigger juggernaut at the box office the following year holding the number one spot from March all the way to December, where it was finally dethroned by the next chapter of an even bigger Disney property, Star Wars. 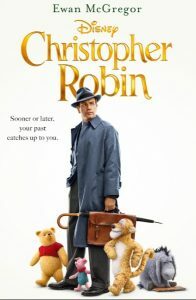 While The Lion King looks to be the next BIG remake in the works, they’ve snuck in something a little unexpected in the meantime – a live action Winnie the Pooh tale called Christopher Robin. 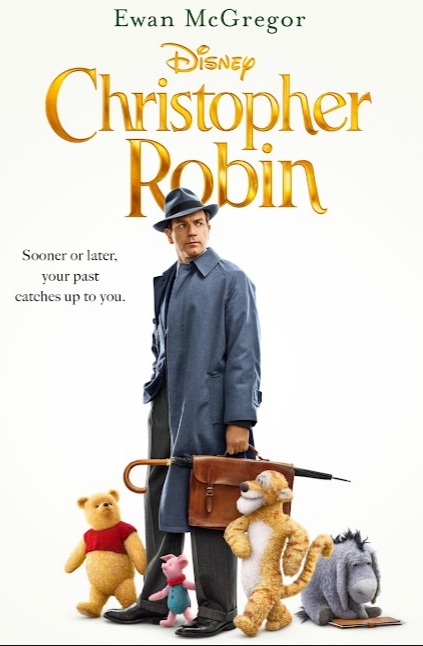 Christopher Robin follows our titular character (played by Ewan McGregor) for the first time outside of his young, imaginative and carefree years of adolescence and into his not so fulfilling adult life at a designer luggage factory. 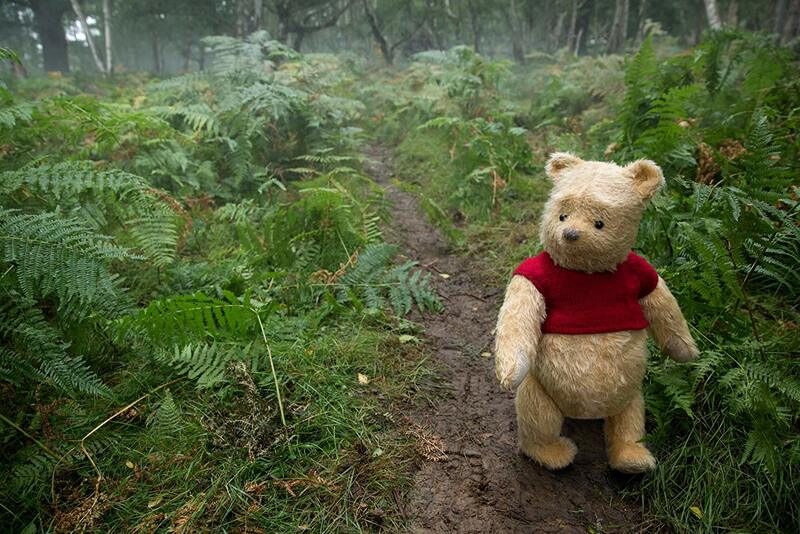 Before growing up and in probably the most heartbreaking scene in the film, he asks for a promise from his stuffed pal in Hundred Acre Wood, Winnie the Pooh (Jim Cummings) to not ever forget about him. 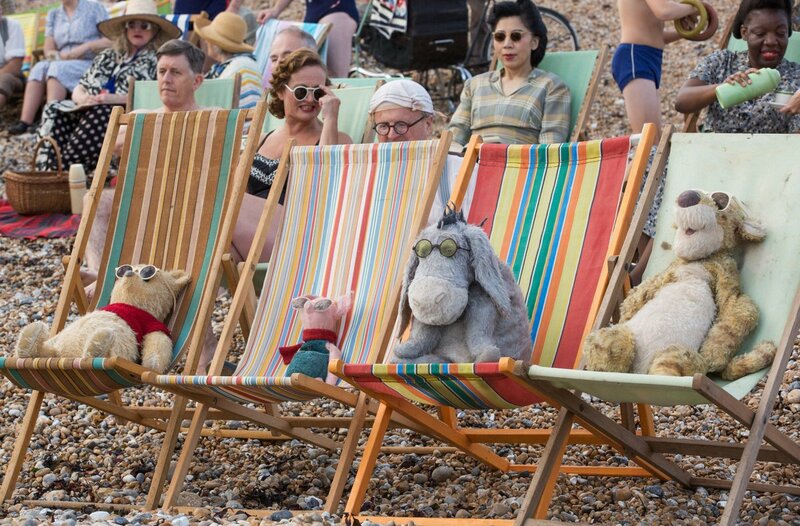 Pooh is left with Tigger (also voiced by Cummings), Eeyore (Brad Garrett, show-stealer), Piglet (Nick Mohammed), Owl (Toby Jones), and Rabbit (Peter Capaldi) as Christopher exits Hundred Acre Wood to grow up and audiences may be left with tears….and this is the first five minutes of the movie. The film continues with a cleverly edited storybook introduction, showcasing different elements of Christopher’s life after adolescence. Now a World War II veteran, he’s married to his adoring wife Evelyn (Hayley Atwell) and has a daughter Madeline (Bronte Carmichael). Life should be great, but unfortunately the stress of his work has taken a toll on his well-being as his slimey boss, Giles Winslow (Mark Gatiss) is looking to Christopher to cut costs for his company by the means of asking him to fire his peers. From here, I found the film to drag quite a bit unfortunately. There are several scenes depicting Christopher’s inability to pay attention to his family. In another less heart-breaking scene, when asked by his daughter if he could read to her before bed, she pulls out Treasure Island, but not before he begins reading a world history book to her and we see her heart break through her eyes. He can’t go on the family vacation due to work and it causes a rift with Evelyn and they leave without him. It’s a classic trope that we’ve seen countless times before. The father is too invested into his work and can’t spend time with his family but finds the courage and resolution to his problems through a fun-filled adventure down memory lane. Hook, anyone? There is some charm to be had in Christopher Robin though, but it’s few and far between and only when Pooh and pals are on screen. You’ll find familiar tunes in Pooh’s wake-up routine and, of course, the Tigger song. Truth be told, I was actually kind of shocked at what felt like such little screen time for the stuffed pals. It really had me wondering throughout the film who the primary audience for this film was supposed to be. For adults, it’s rather dull and only a little humorous at times, and if the restless child next to me was any indicator, a large number of children might be extremely bored until the climactic finale. 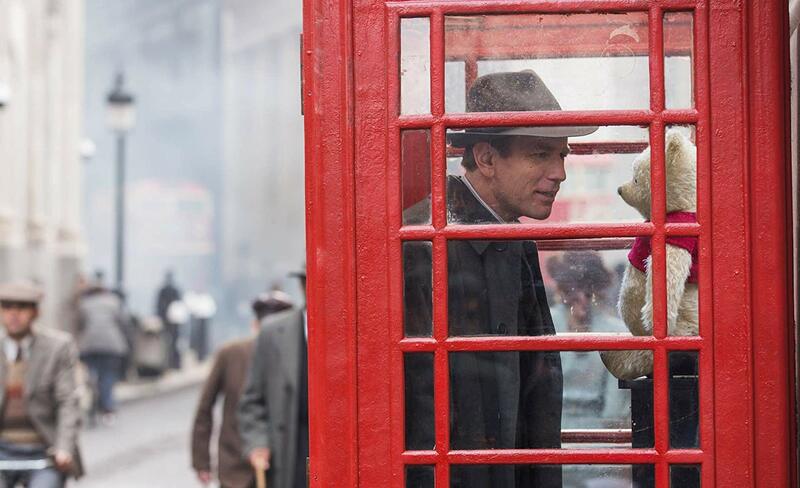 I’ve never really had an affinity for Winnie the Pooh, so it’s not like my expectations were overblown. At two hours, the film definitely feels it’s length and I still walked out of the theater feeling like something was missing. I was hoping for a charming and whimsical film, but that felt like it only came in small doses.